Iraqi Kurdistan Regional Government President Masoud Barzani — the last of senior war veterans in the Middle East — stepped down on November 1, 2017. One of his aides via Twitter on October 28, said that the 71-year old Kurdish warrior turned president would not be seeking re-election, one month after he championed a controversial referendum for independence that sparked off military conflict with Iraq and led to the loss of oil-rich Kirkuk. He willingly stepped down from a post he has held since 2005 but which legally expired in 2013. 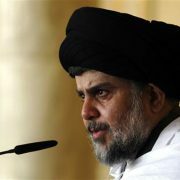 His departure has taken Iraqi Kurdistan by storm, amidst rising speculation on who will succeed him. Millions of Kurds grew up under the towering influence of two heavyweight figures, Barzani and Jalal Talabani. These two men jointly led the fight against Saddam Hussain, and then carved out their own territory from war-torn Iraq after the Gulf War of 1991. One year later, they divided power neatly among themselves in Iraqi Kurdistan, with 50 seats going to Barzani’s Kurdistan Democratic Party (KDP) and 50 to Talabani’s Patriotic Union of Kurdistan (PUK). Their national unity government collapsed in 1994, triggering a civil war that resulted in two rival governments, one in Arbil led by Barzani and another in Sulaimaniyah, led by Talabani. In 1996, Talabani sought help from Iran to finish off his Kurdish friends-turned rivals, while Barzani extended a friendly hand to Saddam Hussain. The two leaders reconciled and went to the polls in 2005, making Barzani president of the Kurdistan region, while Talabani was voted president of Iraq. The former left office in 2014 and died earlier in October, creating a giant hole in Kurdish politics. With Barzani about to leave the scene as well, many are eyeing the top position in Iraqi Kurdistan. 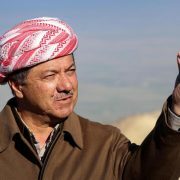 Most Kurds have known no other commanders in their lives; Talabani and Barzani were familiar names who people could trust in their collective drive for Kurdish independence. 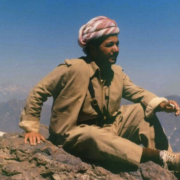 They were the only constants in an ever-changing world for Iraqi Kurds. Meeting that — or beating it — will be hard for any presidential hopeful. In Kurdistan, family politics matter a lot, and being a Barzani or Talabani can either be a blessing in any election — or curse, depending on who one talks to on the streets of Arbil. The last time Iraqi Kurds went to the poll was in 2009. Back then, a handful of candidates ran against Barzani, including the London-based former Chief of the Kurdish Writers Union Kamal Mirawdily and Jalal Talabani’s brother-in-law, Halow Ebrahim Ahmad. 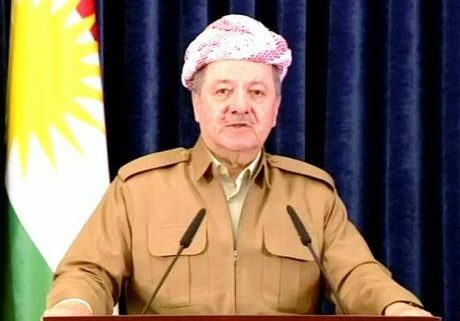 Elections were scheduled for December 7 but will take place earlier in November, after Barzani’s sudden step-down. With such short notice, few will be ready to campaign for office, turning everybody’s attention to four figures who are all potential presidents-in-waiting. One obvious candidate is Nechirvan Barzani, the current 51-year-old Prime Minister of Kurdistan. He hails from the same family that has dominated Kurdish politics since the 1930s. His grandfather Mullah Mustapha is founder of the KDP; his father Idriss was a ranking politician who died young and served as roving ambassador for the KPD. His uncle Masoud was the current president, and his uncle Hoshyar Zebari was the former foreign minister of Iraq. He was elected to the KPD’s Central Committee in 1989 and joined its political bureau in 1993, assuming the premiership in 2012. Westernised and articulate, he commands respect among young Kurds and in the international community, seen more as a statesman than a rebel commander—a liability, no doubt, as Kurds are increasingly taking up arms to fight off invading Turkish troops, Iraqi soldiers or Daesh. Second-in-waiting is the powerful Minister of Interior Karim Sinjari. A graduate of Baghdad University Faculty of Law, he joined Kurdish rebels during his teens, rising to the KDP’s top command in 1976. In 1992 he became director of security and nine years later appointed Minister of Interior in Arbil. Neither a Barzani nor Talabani, his chances are low, especially when challenged by members of the two clans who see him as too powerful and ambitious for their liking. Third is Masrour Barzani, the 48-year-old son of the former president, constantly being promoted as his heir apparent. He joined the Peshmerga as a teen in the mid-1980s, fighting alongside his father. A graduate of the American University of Washington, he joined KDP’s Central Committee and in 1998 became director of intelligence in Iraqi Kurdistan. More recently he has handled counter-terrorism operations with the US-led coalition against Daesh, triggering a rumour that says he is the US’ chosen successor to Barzani. Fourth and last is Kosrat Rasul Ali, the current chief of the PUK, who spent a lifetime working with Talabani and succeeded him at the helm of his party last October. Since 2005 he has been the Vice-President of Iraqi Kurdistan, standing sometimes at dagger’s-end with Barzani. In 1993-2001 he was prime minister of Talabani’s part of Kurdistan, and before that, served as a ranking commander of the Peshmerga. The 65-year-old veteran spent a lifetime with the Kurdish struggle and was arrested by Saddam. Kurds trust him and have worked with him for years, seeing him as a natural political continuation of classic Kurdish nationalism, although he is not a member of the two powerful clans.